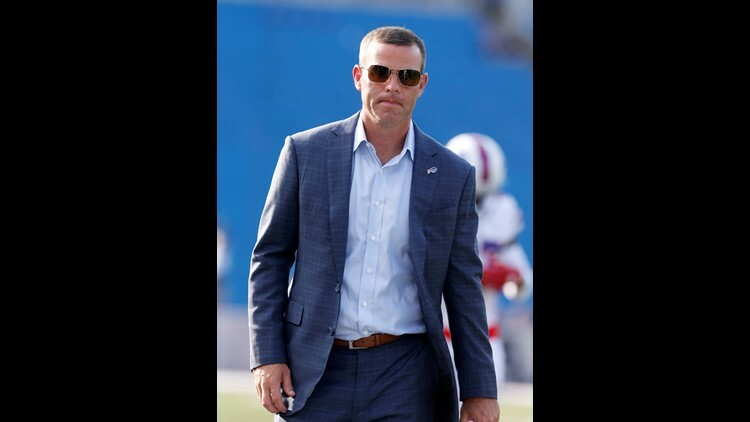 The following is an article posted by our partners at the Rochester Democrat and Chronicle after Leo Roth interviewed Bills general manager, Brandon Beane. In the process, draft pick capital was stockpiled, a good chunk of it spent by Beane on draft day maneuvers to select quarterback Josh Allen and linebacker Tremaine Edmunds, their cornerstones on offense and defense. Q: I know you braced fans and media for perhaps taking a step back, but not two or three steps back. The offense has scored 96 points and is on pace for setting a franchise record for fewest points in a 16-game season. That’s why it’s a bit of jolt after a playoff season, to see this kind of product.